Charlie Sheen shared a message with his 11.5 million Twitter followers on Saturday, saying he was worried for his parents Janet, 74, and Martin Sheen, 78. Describing what was happening as an “horrific scenario”, the actor said he thought they were near Zuma Beach. The couple, who wed back in 1961, are among a long list of celebrities who have been evacuated from their homes in California which has been hit by wildfires. Nearly 230 people were still unaccounted for last night, leading to fears the death toll could rise considerably from 31. It is thanks to Fox 11 in Los Angeles they that were able to be located, and Janet and Martin Sheen were later interviewed. The Anger Management star continued: “If anyone has eyes on them, please let me know that they are safe and sound in the middle of this horrific scenario. According to the Deccan Chronicle, the pair were told their son was looking for them and were given a message to pass on. He is said to have told them: ”Emilio, Ramon, Renee, Charlie, we’re fine, we’re at Zuma Beach and we’re probably going to sleep in the car tonight. California fires MAP today: Is San Diego affected? Where are California fires? 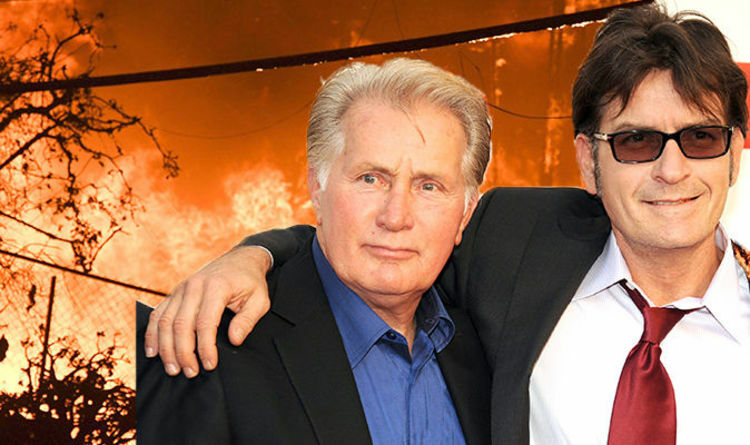 The Apocalypse Now star went on: ”This is the worst (fire) I’ve seen,” after moving to Malibu nearly 50 years ago. “I’ve never seen one with this intensity, for this long, that took out so much property and caused such havoc,” he added. It comes after Miley Cyrus was left “devastated” after her home was burned down in the wildfires. The 25-year-old revealed her property was one of thousands destroyed but her animals and “love of my life” had made it out safely. She tweeted: “Completely devestated by the fires affecting my community. I am one of the lucky ones. “My animals and LOVE OF MY LIFE made it out safely & that’s all that matters right now. My house no longer stands but the memories shared with family & friends stand strong. I am grateful for all I have left. Actor Gerard Butler said on Instagram that his Malibu home was “half-gone” as he filmed what was left. Fires are raging in both northern and southern California, and the likes of Kim Kardashian and Lady Gaga have been asked to move out. Lizzie release date, trailer, cast, plot: Watch Kristen Stewart in EXCLUSIVE trailer Stimulus Plan or Populist Giveaway? Italy’s Budget Sets Up Clash With E.U.